How did Hugo Chávez become an icon for the global left? From Simón Bolívar to Che Guevara, Latin America has pedigree when it comes to producing iconic figures of revolutionary politics. This was no less the case when Hugo Chávez took the reins of Venezuela in 1999 at a bleak time for the international left: with the collapse of the Soviet Union barely written into the history books and China moving apace into the unfettered capitalism we see today, even traditional forces of the left in Western Europe had shuffled towards the centre ground in the quest for electability, viz. New Labour in 1997. Not for the first time, leftist movements worldwide were left grasping for an idol, and they found this in Chávez’s “Socialism of the 21st Century”, a package of Marxist labour and democratic principles coupled with a Bolivarian emphasis on political and economic self-sufficiency for Latin American nations, a shot across the bows of leftist bête noire the USA, after a century of interference in the affairs of its southern neighbours. In short, the left needed an icon and Chávez provided; as that sage of early 21st Century socialist thought Ken Livingstone put it, Hugo Chávez was “the best news out of Latin America in many years”. But to truly achieve iconic status among the world’s would-be revolutionaries, Chávez had to deliver his new brand of international socialism. While it was another matter of fortunate political timing that Chávez entered government at the vanguard of the Pink Tide, the flood of left-leaning governments elected in Latin America in the early 2000s, it was also a feat of visionary organization that allowed him to emerge as their figurehead and position himself as that rarest of things in the fractured world of leftist politics: a unifier. Bringing together Latin American “new left” leaders in collective mistrust of perceived American imperialism was a predictably straightforward task. Yet it took considerable political acumen – and commitment to Bolivarian ideals – to play an instrumental role in the creation of organizations for regional political and economic cooperation, notably the Union of South American Nations (UNASUR) and BancoSur, the South American-orientated monetary fund. The effort to foster international collaboration and economic development between a group of self-styled “progressive” governments chimed with strains of internationalist leftist thought that had been striving to show a face different to the insularity of past socialist regimes. The figure of Hugo Chávez offered them the opportunity for association with a fresh breed of international socialist for a new global left. Among Chávez’s transnational projects was TeleSUR, the politically partisan Caracas-based news and broadcasting agency. This foray into media demonstrated his keen grasp on the power of image projection to cement internal support and garner international acclaim. The seeds of this understanding were sown early in Chávez’s political career. A ringleader of the 1992 attempted coup against the government of Carlos Pérez, where he failed in regime change he succeeded in public relations; at his arrest, his laconic comment that the revolution had failed “for now” made him a media star and symbol of resistance to an oppressive administration. However, even the most PR friendly and politically astute leaders need a slice of good fortune; for Hugo Chávez, this was oil. At its peak, 96% of Venezuelan export income was derived from oil, the petrodollar financing many of the social programmes, Bolivarian Missions and Communal Councils that endeared him to ordinary Venezuelans and allowed him to present his administration as a socialist success story to the international community. That this success was illusory is obvious; the drop off in world oil prices in mid-2014 brought with it the seizing-up the Venezuelan economy and the end of so much social beneficence. But in this regard, Hugo Chávez had one final, ironic stroke of luck. His death in March 2013 prevented his seeing – and being held accountable for, his critics suggest – the effective collapse of Venezuela by the mid-2010s, and spared him the anguish of watching the piecemeal dissolution of the various Pink Tide governments he had fostered by a “new right” in Latin America. Personally, Hugo Chávez went to the communal tractor factory in the sky on a high, undefeated and with his star undimmed. In essence, Hugo Chávez’s iconic status owes itself to 3 things: Fortuitous timing in international politics and domestic economics, fertile ground for his ideas on the political left, and a statesman’s understanding of the power of image-craft to create an aura that his well-timed exit preserves. As we mentioned earlier this month, recent times have seen a degree of friction between the foreign ministries of various South American states. The crux of these strained relations has been Venezuela’s upcoming presidency of Mercosur, the free trade bloc that encompasses many of the region’s larger economies: Argentina, Brazil, Paraguay, Uruguay and, of course, the Bolivarian Republic itself. Several members – most notably Brazil – had moved to block Venezuela from taking up the rotating presidency, suggesting that a country in the throes of an increasingly authoritarian political situation and near-total economic collapse makes an unsuitable flag-bearer for an organization that promotes human rights and free trade. But now, the situation has escalated, with efforts not just to relieve Venezuela of the presidency but also threatening suspension of its Mercosur membership. On Tuesday, the 4 remaining members put on a rare united front, issuing a joint memorandum citing as grounds for suspension Venezuela’s broken commitment to civil liberties under the 2005 Asunción Protocol and failing to implement a joint economic accord, the core obligations Venezuela undertook when it ascended to full membership of the bloc in 2012. At the time, the country was given 4 years to comply but, beset by well-documented economic and political difficulties, the clock has run down without any meaningful progress being achieved. Under the terms of the latest agreement, Venezuela now faces a deadline of 1st December; otherwise it will revert to associate membership. The ultimatum is an effort “preserve and strengthen” the bloc, according to a statement issued by the Brazilian Foreign Ministry. On the flip side Venezuelan foreign minister Delcy Rodríguez eschewed conventional diplomatic channels by rejecting the memorandum on Twitter, later accusing her nation’s former partners of using “an illegal ruse” to bring down Mercosur itself. While the reaction of the latter may touch on the histrionic, this latest development probably ought not to be thought of as purely a matter of procedure. Indeed, there is precedent for Mercosur affiliation being leveraged as a political tool to intervene in the domestic affairs of its members. In 2012, when the Pink Tide was still in full flood, the left-leaning governments of Brazil, Argentina and Uruguay successfully lobbied for the suspension of Paraguay’s membership following the deposition of socialist president Fernando Lugo. 4 years on, and with the emergence of a “new right” across Latin America – notably in Mercosur heavyweights Brazil and Argentina – the organization is being used for a similar purpose: to apply pressure to the already-embattled socialist government in Caracas How stark an example of the Latin American political see-saw this polar reversal of internal Mercosur politics is. In any case, President Nicolás Maduro will have to look beyond regional blocs to top up his increasingly diminished coterie of allies. And perhaps he will find some among attendees of the XVII Conference of Non-Aligned Nations, which kicks off tomorrow on the Isla de Margarita. At the very least, Bolivian premier and long-term supporter Evo Morales should provide a sympathetic shoulder to cry on. In the meantime, the squabbling of its members has the side-effect of stalling official Mercosur business, most notably negotiations for a reciprocal trade deal with the European Union. However, hopefully both teams of negotiators can take heart from the fact that they are not the only trans-national economic union currently suffering a crisis of confidence. The 2016 Olympics opened in Rio de Janeiro on Friday, with a ceremony celebrating Brazil’s diversity, its – often controversial – history and, looking ahead, its commitment to an environmentally responsible future. And for a games that had already weathered budget cuts and well-publicised doping controversies before athletes had even stood in the blocks, it was the contagious enthusiasm of cariocas for their moment in the global sporting sunshine that shone through. Contagions, however, have also been much on the mind of athletes and organizing authorities in recent months. The threat of the Zika virus has cast a modest shadow over the games; golf’s return to the Olympic fold after a 112-year hiatus was dampened by the news in June that World Number 1 Rory McIllroy would be among several on the PGA tour not competing in Rio, nominally due to the mosquito-borne disease. 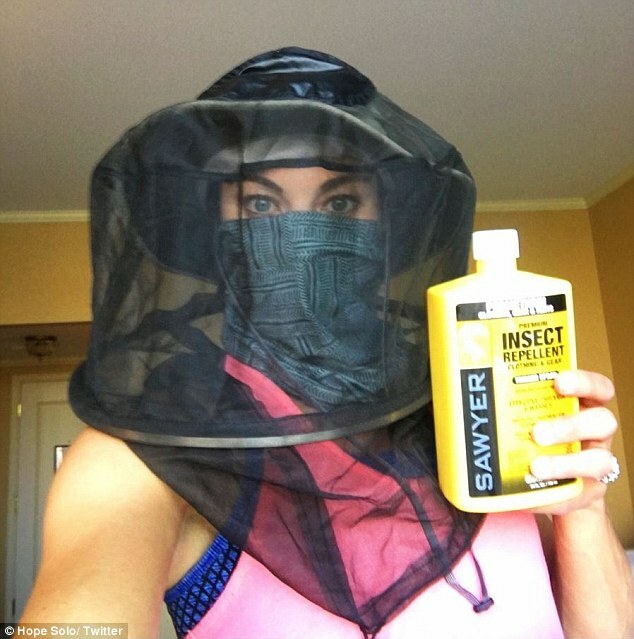 Likewise, USA Women’s Soccer Goalkeeper Hope Solo took to Twitter, posting pictures of her brimming arsenal of insecticides and posing in a costume that even a well-dressed beekeeper might find excessive. Predictably, the impromptu photoshoot drew the mockery of local fans during the USA’s opener against New Zealand. Some have gone so far as to brand the McIlroy abstention ”extreme”, with even the director general of the World Health Organization stepping in to assert that the risk posed by Zika to athletes is low. But what few can ignore are the hazards faced by any athlete bold enough to dip their toes in one of Rio’s open-water aquatics venues – Guanabara Bay and the Rodrigo de Freitas Lagoon. As part of the bidding process, state and city authorities had pledged to embark on a major cleaning operation, promising that the games would “rejuvenate Rio’s waterways”. 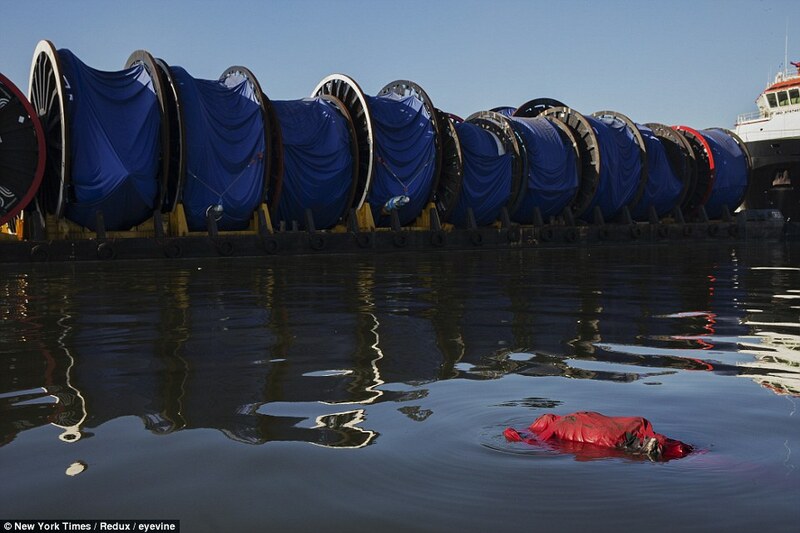 And the city was certainly crying out for it – over the past few decades, many of the 55 rivers flowing into Guanabara Bay have been successively declared “dead” by scientists. But despite the vows, levels of pollutants – industrial effluent, landfill runoff and raw sewage – have remained stubbornly, and deplorably, high. Water samples taken in the last month have revealed extreme levels of pollution, with one test weighing in at 1.7 million times the admissible limit in the USA, a country not normally noted for its environmental sensitivity. For those at the games, this state of affairs has been a mixed blessing; while the world’s press have been falling over each other to snap lurid shots of semi-submerged corpses for gleeful picture editors, one can only assume that actual participants in aquatic events met with a shudder news that ingesting a mere 3 teaspoons of water could lead to serious illness. So spare a thought for Serbia’s men’s rowing pair, capsized in choppy conditions on the Lagoa Rodrigo de Freitas. Meanwhile, organizers are investigating reports that competitors in a kayaking warm-up event were torpedoed by a rogue sofa. The veracity of the story has yet to be established, but the sofa in question has taken to Twitter, presumably seeking to capitalize on its 15 seconds in the sporting spotlight. ADDENDUM: But why should Brazil have all the fun? The enthusiasm for all things athletic has spread to Peru, with newly-elected president Pedro Pablo Kuczynski hosting his first cabinet meeting over a 25 minute gym class with his ministerial subordinates. The stunt comes as part of an initiative to promote healthy living among Peruvians, and one can only assume that the electorate, who helped the 77 year old former World Bank economist squeak home in April’s election, hope he will pursue his promised “social revolution” with similar vigour. According to data released earlier this week by Mexico’s National Institute for Statistics and Geography (INEGI), there were 20,525 registered homicides in the country in the last year. At a per capita rate of 17 per 100,000, Mexico weighs in worryingly high up the rankings, though maintaining a marked margin below some of its Latin American neighbours. On a domestic level, the latest batch of stats marks the first increase in killings since 2011, the final year before the Peña Nieto government took drastic measures to curb rising violence. Beyond the boundaries of the capital Mexico City and the notoriously violent State of Mexico that surrounds it, the state of Guerrero leads the table, followed swiftly by its northern neighbour Michoacán. Collectively, these states are known as the Tierra Caliente, notable for their arid climate and parched landscape. Now they seem hot for all the wrong reasons, with even President Enrique Peña Nieto admitting that the region presents significant challenges for his national security initiative. Guerrero has already achieved some considerable notoriety. In September 2014, the town of Iguala in the northeast of the province attracted the attention and horror of international media when 43 students from a local agricultural college disappeared, allegedly at the hands of an unholy alliance of police and criminal gangs. The “Missing 43” – or rather, their remains – have yet to be found. Not to be outdone, in 2014 Michoacán had its own dalliance with the Knights Templar, a narco-religious faction who revelled in their reputation as the “Cannibal Cartel” before being quashed by an alliance of armed vigilantes and federal forces. But while the sensationalism may have subsided, the violence is no thing of the past. This Saturday saw the ambush and killing of Ambrosio Soto Duarte, the mayor of Pungarabato, a municipality on the Guerrero-Michoacán border. Earlier this month, Mr Soto Duarte had spoken out on Twitter against gang violence, revealing that he had been receiving death threats and calling on Mr Peña Nieto to take a tougher line. The assassination of Mr Soto Duarte came mere hours after news that Domingo López González and Narciso Lunes Hernández, the mayor and deputy mayor of the indigenous community of San Juan Chamula, were among 5 killed in a shooting in the southern state of Chiapas. In response to the latest shootings, the National Association of Mayors (ANAC) issued a statement, petitioning the government to provide greater protection for mayors and public servants. But Mexico is no stranger to violence against local officials and this is not the first time ANAC has made this plea. In January, following the death at the hands of gunmen of Gisela Mota Ocampo, mayor of Temixco, Morelos, the state governor revealed that 13 other mayors in Morelos had been subjected to threats and intimidation. So why have the leaders of Mexico’s 2438 municipalities found themselves in the firing line? Like so many of modern Mexico’s ills, the answer lies chiefly in organized crime and the ongoing War on Drugs. Increasingly in recent years, the narcos have sought to “diversify their portfolios”, moving away from the simple traffic of arms and drugs and into the world of local government. Typically, this started off along classic mafia lines – the corruption and intimidation of municipal politicians and the running of protection rackets against civic authorities. During the chaos in Michoacán 2 years ago, local officials tell of how regional gangs would demand protection payments, carrying off as much as 10% of federally-dispensed funds. Town hall functionaries were hardly in any position to resist. But the methods of the cartels are developing ever greater sophistication. Not content to extort local government, some criminal elements have sought to become local government, de facto and de jure. And “clean” politicians – Mr Soto Duarte among them – stand little chance in opposing them. Take, for example, the now notorious example of Iguala, Guerrero. While months of federal investigation failed to shed much light on the fate of the 43 students, inquiries did reveal that María de los Ángeles Pineda Villa, wife of the town mayor, was a senior figure in the command structure of Guerreros Unidos, the gang suspected of carrying out their kidnapping and execution. Unsurprisingly, infiltration of local government carries many benefits for criminal organizations in Mexico. Not only does it offer the cachet of officialdom, it is also immensely lucrative. In 1984, the de la Madrid government pursued a then-popular policy of decentralization, amending the constitution to give municipalities freedom to administer finances and raise revenue. Although designed to put power back into the hands of the people, in the more chaotic parts of 21st century Mexico, the policy has served simply to deliver the apparatus of state directly to the door of those who wield most local power. With frankly depressing regularity, this has been the cartels, which have benefitted from an absence of centralized oversight in order to jam their fingers deep into the pie of local government, extorting procurement contracts and creaming off local taxes. But subverting local government for their own ends offers Mexico’s criminal class another crucial advantage. Throughout the country, municipal policing falls under the remit of many town halls and thus, removing the mayor of a locality – by pseudo-democratic means or at the end of a gun – directly eliminates a major obstacle to criminal activity. Deprived of leadership, underfunded and unmotivated, local police are unlikely to put up much resistance. The consequences for Mexico are all-too-well documented. The body count rises – among local politicians and the civilian population – and investment is siphoned off or dries up altogether, suffocating development in the poorest and most violence-afflicted states. To tackle the problem, Mr Peña Nieto would do well to heed ANAC’s call for greater security for local mayors. Having dedicated, on-the-ground politicians of any hue will be essential for driving through change at a local level and restoring popular faith in government, a sentiment that has been eroded by decades of violence. More importantly, having a coherent strategy to deal with – or at least, suppress –the criminality is essential. In 2013, the deployment of the army onto the streets of 13 northern states brought a significant reduction in violence. A similar strategy might be employed to cool off the Tierra Caliente. Looking longer term, re-centralization of policing and revenue-raising would be a viable policy initiative, taking these essential functions out of the hands of vulnerable local politicians and placing them under the umbrella of state government. State-level management may indeed be imperfect, but the greater structural integrity of state government would permit it to effectively enact policy and uphold the law, with its relative proximity to the executive allowing for greater oversight. Perhaps then can the elected representatives of the Mexican people begin to govern in peace. This Friday, the Commonwealth of Puerto Rico had been due to make $2 billion of debt repayments, the first step on the road to tackling the burden of the $70 billion debt load currently encumbering the island territory. But things have not gone according to plan. As the deadline loomed, an executive order came from the office of Governor Alejandro García Padilla, declaring that repayment would be suspended on almost half the outstanding debt, including $779 million of constitutionally-backed general obligation bonds. The announcement has not come as a surprise to many. Indeed, political wheels had been turning for several months to avert – or at least mitigate the impact of – Puerto Rico’s debt crisis. Only on Thursday – mere minutes before the order went out in San Juan – President Barack Obama had put pen to paper on the Puerto Rico Oversight, Management, and Economic Stability Act – optimistically-acronymed PROMESA – subjecting the unincorporated territory to the fiscal rigour of a federal oversight board. The losers in this scenario are, unsurprisingly, unlikely to be the hedge funds and municipal bond funds that make up the majority of Puerto Rico’s creditors. Although individually some have exposure to Puerto Rican debt in excess of $1 billion, it is fully expected that bond insurers will bear the brunt of the default, picking up the short term tab, with the long term financial consequences suffered by ordinary Puerto Ricans. Governor Padilla has come out fighting, declaring that the default is the consequence of the Commonwealth becoming a “colony of Wall Street”. But to many, this will seem a little too much like “doing a Kirchner” – holding faceless foreign financial organizations solely responsible for a crisis caused by myriad factors, not least domestic economic mismanagement. In reality, blame for Puerto Rico’s unenviable status as the “Greece of the Caribbean” can be apportioned just as much at home as abroad. Puerto Rico is no stranger to debt defaults. Only last August, the Government Development Bank reneged on $58 million of bond repayments, citing concerns about the Commonwealth’s liquidity. But this latest turn of events is many orders of magnitude greater, reflecting a growing crisis in domestic fiscal administration. Concerns have even been raised that the territory is entering an irrecoverable “death spiral”, as an increasingly large proportion of revenue goes towards debt servicing over economic stimulation. The latest default forms part of a continuum of indignities suffered by Puerto Rico in recent years. The island has experienced almost consistently negative GDP growth since 2006, culminating in the simultaneous “junking” of the territory’s credit rating by all 3 major ratings agencies in 2014. The whys and wherefores of this litany of misfortune can be traced back over a decade. In 2006, IRS Code 936 – a tax code giving mainland US companies a federal tax exemption on income earned through subsidiaries based in Puerto Rico – was repealed after a 10-year phase-out. Although a seemingly minor administrative change in the context of wider US tax policy, the local effect was crippling – removing incentives for businesses nationwide to operate on the island, it hit manufacturing particularly hard. Moreover, this local setback coincided with the global economic crash of 2007-2009, with Puerto Rico acutely affected given its exposure to the USA, the territory’s largest investor, trade partner and source of tourist revenue. The local economy has struggled to recover from this double whammy, in large part due to an array of structural problems. Foremost among these is labour force participation rates. Although the formal unemployment rate has now climbed to 11.4%, a 2015 GDB report found that only 40% of the adult population is in or seeking formalized work, with the rest either idle or employed in the informal economy. The reason for this is twofold. Firstly, the cost of formalized employment is prohibitively high for Puerto Rican employers – particularly in the low-skilled, seasonal tourism industry that provides 7.3% of GDP – a by-product of the federally-mandated minimum wage. On the mainland, this runs at 28% of per capita income but on the island this jumps to 77%. Hiring off-the-books – and beyond the reach of the taxman – makes financial sense for most employers. Secondly, Puerto Rico runs a generous welfare system; an estimate cited in the report shows that a household of three eligible for food stamps, Aid to Families with Dependent Children, Medicaid and utilities subsidies could receive $1,743 per month – as compared to a minimum wage earner’s take-home earnings of $1,159. Work, formal or informal, does not pay. And this is to say nothing of the toll that a decade of economic stagnation has imposed on the Commonwealth’s human resource. The population has dropped by an average of 1% per annum, with the principal demographic being people of working age. While the desire to seek fortunes elsewhere is eminently understandable, the loss of the most economically activity in society further undermines efforts to alleviate the slump. The response of the government in San Juan has been a triumph of hope over reality. The same GDB report draws particular attention to “extremely optimistic revenue projections”, consistently overestimating collections at 15% more than the figure actually received, whilst tax revenues have slid by 3% as a percentage of GNP since 2006. Against this backdrop, public sector debts have cantered over the horizon, rising to 100% of GNP by the end of 2015. Whilst the government has, over the years, introduced a series of ad hoc measures in an attempt to stave off the looming crisis – a sales tax hike in 2006, public sector staff cuts in 2009 and pension reform in 2013 – but there has been no grand strategy to tackle it once and for all. A short-termist politics has emerged that mandates plugging holes by raiding public pension schemes rather than face the fiscal music. For the most part, this is down to a lack of proper oversight at local or federal level. Given the situation, it is perhaps ironically appropriate that the Office of Management and Budget, which has been diligently lowering revenue forecasts and assigning lower spending targets for several years, has limited authority to actually manage budgets. But now that the chickens are home and well-and-truly roosted, signs of change are emerging. In September, the appropriately-named Working Group for the Fiscal and Economic Recovery of Puerto Rico put together a comprehensive plan for growth, putting forward a raft of practical solutions to the principal problems: greater fiscal responsibility, proposed exemptions to the federal minimum wage and plans to make doing business easier. However, whether these changes are now implemented domestically or imposed by a Washington-based committee under the terms of PROMESA remains to be seen. The deal allows plenty of room for Puerto Rico to restructure its debt, avoid economic implosion and move forward; however this is likely to come at the cost of some drastic public sector belt-tightening. Moreover, the incursion of Washington into Puerto Rican affairs will, in all probability, bring up another vexed question: that of the island’s relationship with its mainland neighbour. Since its capture during the Spanish-American War of 1898, Puerto Rico has held the status of “unincorporated territory”, a quasi-statehood that grants unspecified “fundamental rights” without guaranteeing full membership of the union or “constitutional rights” for its citizens, including a vote in presidential elections. This arrangement has held for 118 years but recent times have seen a change. In a 2012 referendum, 54% of Puerto Ricans voiced their dissatisfaction with the existing political settlement, with 61% favouring full statehood and accession as the USA’s 51st state. By contrast, a modest 5% rowed in the other direction, casting a vote for independence, a position backed by the Puerto Rico Independence Party (PIP). Meanwhile, the generation of puertoriqueño politicians currently in power favours a middle ground; an “Enhanced Commonwealth” featuring voting rights and entitlement to financial support whilst remaining exempt from federal laws, a “rights without responsibilities” position that is never likely to gain traction in Washington. The problem seems intractable but if anything was going to break the deadlock it is this present crisis. Whether Puerto Rico finds itself drawn inexorably closer to the USA or straining at the leash for a separation, the Commonwealth is in for an arduous political and economic adventure. Last month, we reported in detail on the long and arduous peace process currently being navigated by Colombia, as the country seeks to end 52 years of civil war between the government and leftist FARC guerrillas. Deadlines had been missed and proposals had been torn up, but this week saw the culmination of the gradual rapprochement that had taken place in recent months: the announcement of a formal bilateral ceasefire and the disarmament of the rebel group, signed off in Havana with smiles and handshakes between President Juan Manuel Santos and FARC leader Rodrigo “Timochenko” Londoño. The deal will now go to a nationwide referendum, potentially within the next 2 months. But with many Colombians clamouring for an end to hostilities, the outcome of the vote ought to be a foregone conclusion. In the short term, the roadmap for peace is clear. 23 demobilization zones will be set up in FARC strongholds across Colombia, with the incremental surrendering of arms and ammunition taking place under Colombian Army supervision over the next 180 days. Yet what becomes of the FARC fighters themselves is less obvious. Though their numbers had dwindled to 7000 in recent years – from a peak of almost 20,000 a decade ago – they remain a polemical group. The government is believed to be considering a variety of options to reintegrate the guerrillas into wider Colombian society – including public and private financial subsidies for social welfare projects – while Barack Obama recently pledged $450 million in aid to rebuild the areas of the country hardest-hit by decades of violence. The risk is, of course, that these significant resources will not reach their intended recipients and now-unoccupied FARC fighters will find employment in the narcotics trade that continues to flourish across the country. Doubts can also be raised with regard to what happens to the political ideals of the Revolutionary Armed Forces of Colombia. The group holds its founding Marxist-Leninist principals close to its heart and is unlikely to give up the social fight entirely. With elections due in 2018, the FARC – or a reincarnation of its political arm, the Patriotic Union (UP) – is expected to field candidates at local and congressional level. But the shift from rainforest guerillismo to the political jungle is a challenging one, and many Colombians will remember only too well the last time such a metamorphosis was attempted; during the Uribe ceasefire of 1984-1987, which resulted in the bloody slaughter of UP candidates at the hands of its political enemies. Ex-Farquistas will enter the political arena cautiously, and with good reason. Lastly, it ought to be remembered that prospects for peace in Colombia do not begin and end with the FARC. The group is but one of a patchwork of revolutionary groups operating in the nation’s hinterlands who must be swept up in a peaceful resolution to the violence. For months, the government has planned to hold talks with the National Liberation Army (ELN), another Communist guerrilla movement and, with 2500 members, the largest after the FARC. But negotiations have been consistently stalled by the group’s reluctance to abandon its habit of kidnapping journalist and ambushing army patrols. In short, the Havana deal is a significant – even momentous – step to securing a lasting peace in Colombia. However, this budding accord can only hold if targets are met, words are kept and complacency is kept at bay.